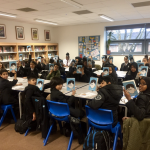 The Reader pioneers Shared Reading – bringing people together to read great literature aloud and thereby improve well-being, reduce social isolation and build stronger communities across the UK and beyond. 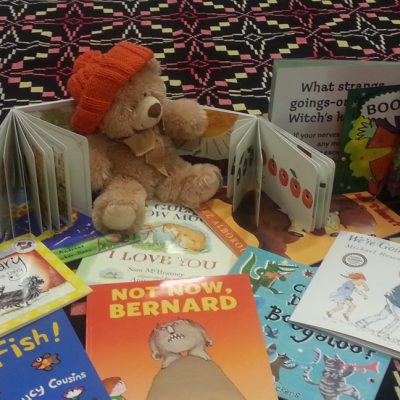 They deliver Shared Reading groups in a range of settings including prisons, hospitals, care homes, schools, libraries, community centres and workplaces. Give a Book has worked with The Reader since 2013 to provide books for groups in prisons, community centres and libraries. 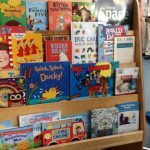 We also support some of their larger projects such as Anytime is Storytime—a city wide family reading event in Liverpool to encourage reading for pleasure and Reading Together, Reading for Life, a children’s reading project in Southwark and Bermondsey. [The books] arrived on Tuesday and I’ve thoroughly enjoyed looking through such a wonderful selection. I’m certain they’ll be a great help on the project in future. A mum of two girls was looking rather stressed. She looked so grateful for some entertainment that she quickly joined us, while apologising for the younger child who was screaming in the pram – “She’s got behaviour issues”. Little Chelsea settled into the story quickly and remained calm enough to be let out of her pram so that she could turn the pages. 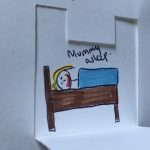 Another mum of two was initially reluctant… “Oh no, he won’t like that. He doesn’t read books”. She was very pleasantly surprised to see her son shouting out during I Want My Hat Back: “It’s the rabbit! HE’S got the hat!” The mum came to thank us afterwards and was later spotted with her younger daughter on her knee, reading the book again to her. Thanks to Give A Book, those mums were able to take the books that had enthralled their children home, so that the storytimes can continue…anytime!